Save Your Heels with Starlettos! I cringe every time I see brides or their guests sinking into lawns as they gather for their photographs or to enjoy an outdoor wedding. A totally unnecessary situation! The solution? Starlettos heel protectors. 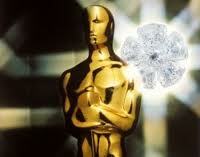 Starlettos make it big at the 2012 Academy Awards. While there may be many other heel protectors out there, I find this Australian product the best on the market. They are so good that they found their way into the Emmy and the 2012 Everyone Wins at the Oscars Nominee Gift Bag! Starlettos are all the rage in the UK and Australia where Race Days are very popular and women find themselves spending a day or two walking on grass. How many times have you found yourself in that situation with your newly purchased or favourite pair of stilettos? Now you can walk with confidence on grass, gravel, decks and they will keep you from slipping on the dance floor! And you can wear your Starlettos indoors on hardwood floors. No more need to take your shoes off at a dinner party! Starlettos are great for all surfaces including grass, gravel, decking and hardwood floors. They come with a convenient storage pouch that fits easily into your purse. 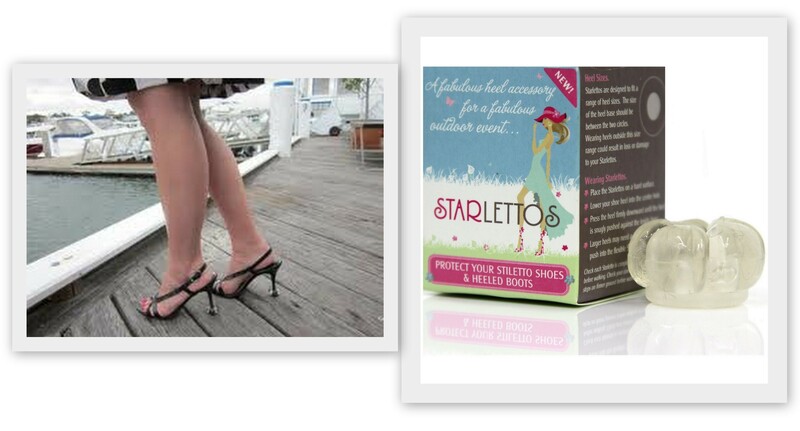 Starlettos are made of a strong plastic base to keep your heel safely out of the grass. The flexible plastic cups the heel of your shoe and provides additional grip for walking on smooth or polished floors. However, like anything plastic, in very wet conditions Starlettos can become slippery on some wet surfaces or come off your heel if your shoe is wet. So please, always be careful when walking in the rain and, no trampling through bogs with these on! The manufacturer recommends a dry Starletto on a dry shoe heel for maximum performance! Starlettos are designed for at least 5 or 6 full days’ wear on soft ground. Each time you wear them, the manufacturer advises that you check the underside that contacts the ground as that tends to wear quickest. If the non-slip base gets worn away it’s time to replace them. Starlettos fit most slim heels (8-14 mm). Make sure you keep them clean for maximum use and gently slip off your heels after you have worn them and store them clean and dry in their pouch. Where YOU Can Get Starlettos! This is an amazing product for brides and the entire bridal party including the MOB and the MOG! They make wonderful gifts for any occasion. And, you can purchase them through me at Niagara Falls Wedding World! We are giving one pair as a free gift to any couple who purchases one of our photography packages when they book their wedding ceremony at the White Wedding Chapel, the Little Wedding Chapel or any location wedding. I know you’ll want to purchase these for your bridal party. The suggested retail price is $14.99. * I am offering Starlettos at $12.99* until May 30, 2013. Please call me 1-800-463-0884 or email me at wwc@cogeco.net to place your order!